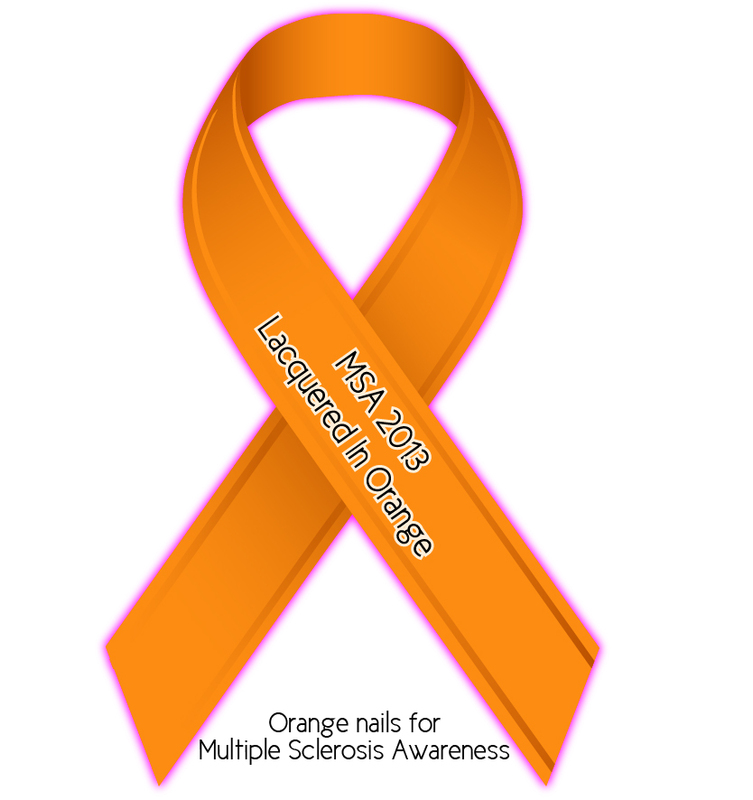 Orange is generally associated with MSA (with an orange ribbon). As such, I would be delighted if you show me, and everyone else, your orange manicure(s) in a ‘MSA’ blog post(s). This event starts today and ends by the end of this month. There are no ‘rules’! If you like to include nail art or not is of course entirely up to you. My sweet brother in law created the ‘logo‘ above. Please add it to your blog post(s). Also, feel free to use it on (the sidebar of) your blog or any social media. Please add your work(s) of art to the Inlinkz Collection below so that everyone can admire it/them. 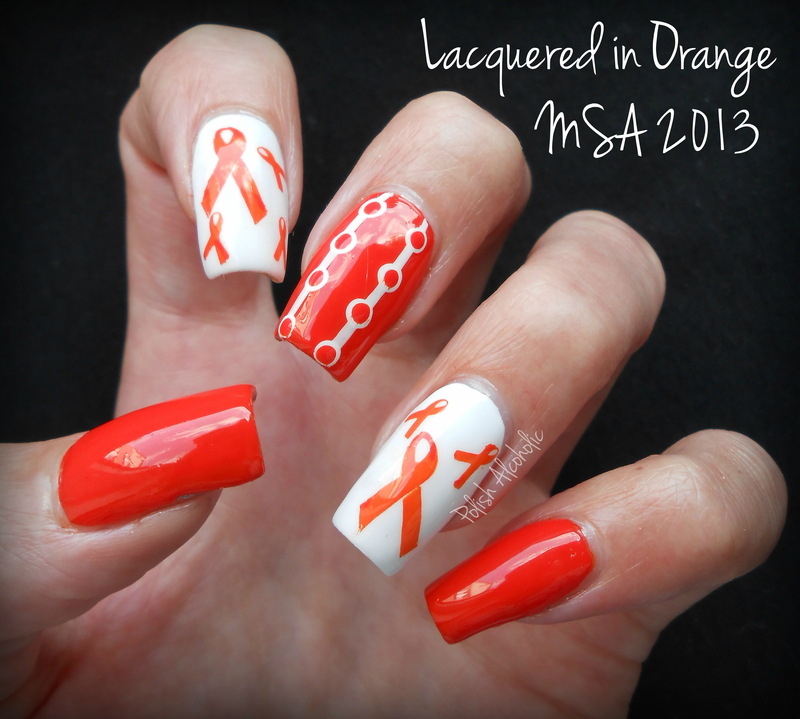 It would be nice if you (hash)tag your orange manicure(s) with #MSA and #LacqueredInOrange, so that everyone can admire your work(s) of art! 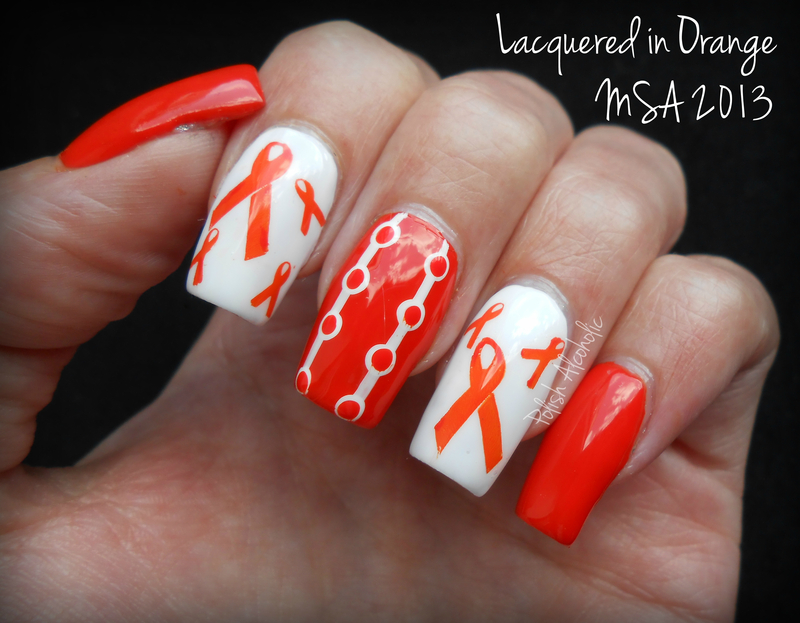 My dear friend Louise that you might know from her blog: Mommy Loves Nail Polish and her Etsy Shop: Love Nailz, is joining the MS walk this year with her family. A big shoutout to you Louise! Love ya girl! The MS Walk is a community event that brings together people touched by Multiple Sclerosis. At the MS Walk, people affected by MS connect with others who understand the daily realities of their disease. Every year over 65,000 participants in more than 160 communities across Canada gather at the MS Walk to engage with each other and raise vital funds for people living with MS.
Read all about it (and/or donate) here.